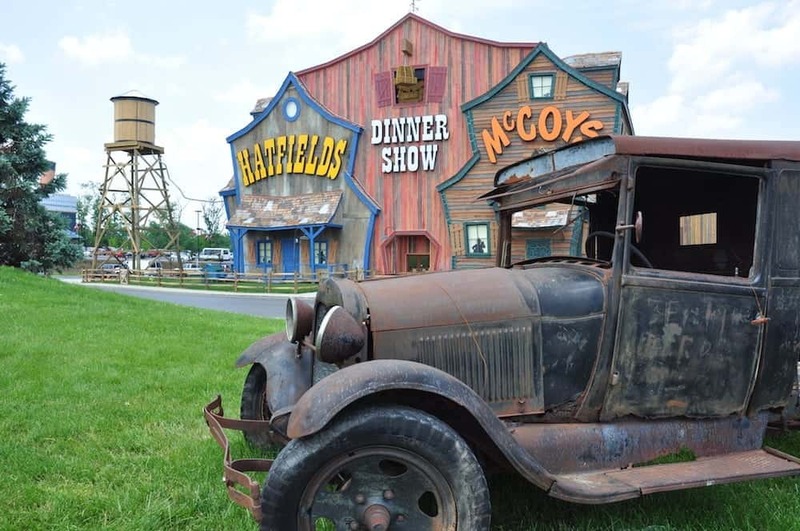 If you’re planning a group trip, Pigeon Forge should be the top destination on your list! With countless attractions for all interests, many of which are very affordable, it’s the perfect place for your getaway. To help you plan for an amazing trip, here are 5 of the best things to do in Pigeon Forge with a group. The Dollywood Theme Park is without a doubt, one of the most popular attractions in this action-packed town! It offers more than 40 world-class rides, high-energy entertainment, and award-winning dining for your enjoyment. Even the youngest thrill seekers can have a great time on all of the kid and family friendly rides! Another one of the best things to do in Pigeon Forge with your group is to visit The Island in Pigeon Forge. If you’re looking for affordable family fun, you will surely find it there, especially since there is no admission fee to get in! Once you’re inside, you’ll discover more than 60 retail and specialty shops, a number of popular restaurants and eateries, as well as an arcade full of fun games and prizes. There is also always music playing at The Island, whether it’s from the dancing fountains at the entrance or from a live band performing on the stage around the corner! Have you ever wondered what it would be like to walk alongside all your favorite stars on the red carpet? Well, now you can find out! Inside the Hollywood Wax Museum, you can pose with all the Hollywood hunks and leading ladies you’ve always wanted to meet. There are even fun props and costumes for you to wear during your photoshoot. As you walk through the museum, you can also learn more about the stars you pass as you read about their pets, charity work, side businesses, and more! If you’ve ever imagined being a cowboy in the wild west or a glamorous Victorian lady, you’ve got to visit one of the old time photo studios in Pigeon Forge! One of the best ones is Old Time Photos, which is conveniently located right on the Parkway. This studio has 7 different sets for you and your group to choose from. You’ll all have a blast trying on old-timey costumes and posing with a variety of props. There’s no better way to bring your exciting day in the Smokies to a close than with one of the dinner shows in Pigeon Forge! Since this town is known for its family friendly entertainment, there are a ton of shows that are appropriate for the little ones and your old fashioned grandparents! You’ll all be treated to a delicious feast and then a delightful night of comedy acts, live music, and other amazing surprises! There are so many fun things to do in Pigeon Forge that every member of your group will have a great time doing. Be sure to take advantage of our Free Adventure Pass so that you can save on other popular Smoky Mountain attractions!